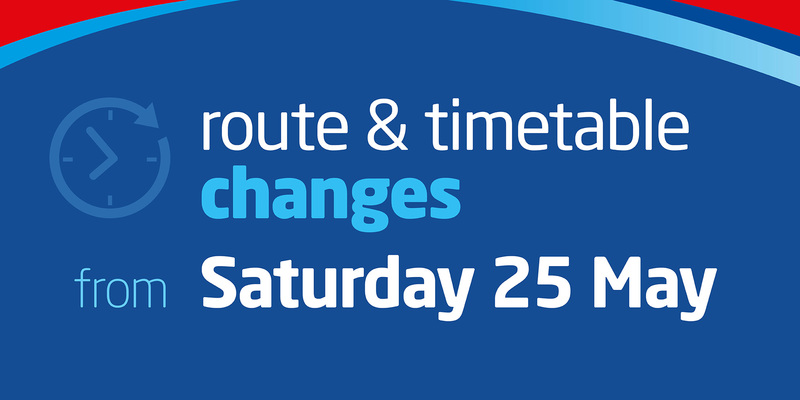 From Saturday 25th May, we launch our summer service change to accommodate for the busy and sunny season up ahead! There's lots to see and do in Bournemouth, Poole and surrounding areas including our recommended doorstep adventures by bus! As part of our changes, we will be withdrawing the 152 and merging it with the Purbeck Breezer 60. The revised 60 route will run from Rockley Park to Sandbanks via Poole Bus Station following the existing 152 and 60 routes excluding Norton Way/Shapwick Road. Journeys towards Sandbanks will also serve Poole Quay. The 10 towards Lytchett Matravers will be rerouted via Organford Manor Country Park and Farmer Palmers to provide new connections with some additional timing changes. What's more, due to popular demand, the X8A will additionally serve Blandford Tesco to improve links on this service. As usual, the Purbeck Breezer 30, Purbeck Breezer 70 and Durlston Explorer 5 are back for the summer season with increased operating dates on some routes and enhanced frequencies on the Purbeck Breezer 50 and Purbeck Breezer 60. With our new website, you can now preview your timetable in advance by clicking on the route number links below. These have been automatically set to 3rd June to show you the school day timetable, but you can set this to any date you like to see the timetable for a specific day. New timetable books will be available from the morebus travel shop and usual outlets from the middle of May. 11 The first set of Monday to Friday journeys will be retimed to start earlier. The New Forest Tour will be back from 6 July until 8 September.